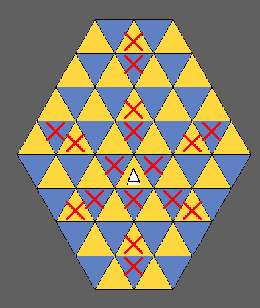 Following a suggestion by Jeremy Good to try designing for medium sized boards, Delta64 is just that - a trigonal CV played on a standard-sized board of 64 cells between 2 players, each player starting the game with 16 pieces. 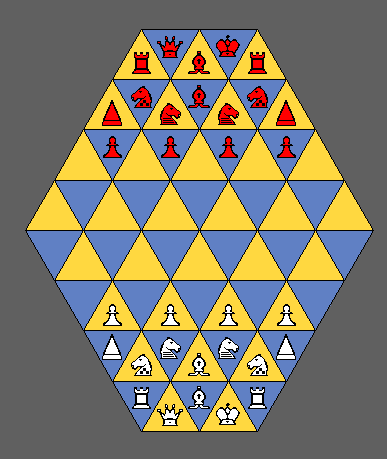 Two types of knight are used, both short (i.e. 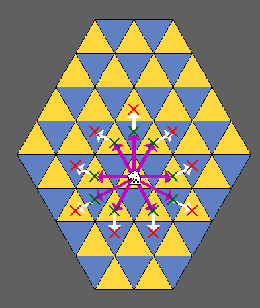 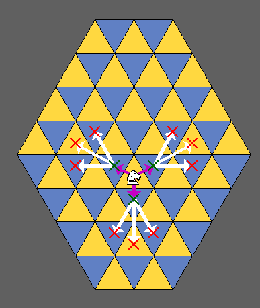 attacking at most 9 cells) because of the board size, one being an edgewise-first mover (E-Knight or, more poetically, a Knight-Errant) and the other a pointwise-first mover (P-Knight or a Knight-Paladin). 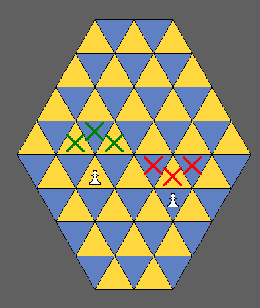 Also two types of Rook are used, one being a constant-slider, always passing through an edge (a Tower), the other being an alternating-slider, passing through both edge and point in turn (a Spire). 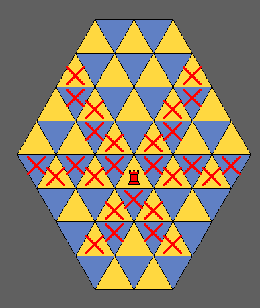 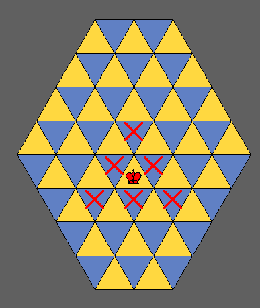 Due to the doubling up of Knights and Rooks, the number of Pawns is halved to 4; but each Pawn is a Sergeant, able to move to, or capture in, any of the 3 nearest forwardly adjacent cells.